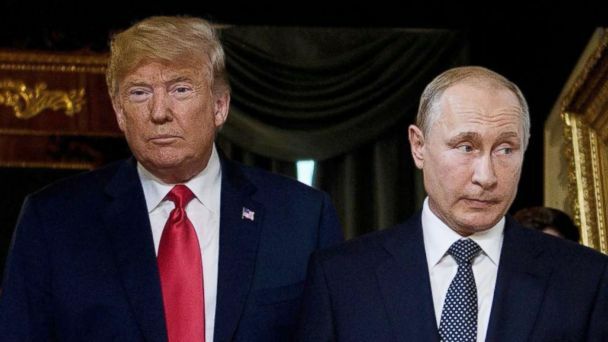 Democrats have sought to investigate whether or not Russia has influenced the president, and point to media reports that Trump has attempted to "conceal the details of his communications with President Putin." Investigators argue that the president's actions are a threat to national security and present concerns that the president may have been manipulated by Russia. Cummings has accused the White House of "stonewalling." "The problem is that the White House is engaged in an unprecedented level of stonewalling, delay and obstruction," Rep. Elijah Cummings, chairman of the House Oversight and Reform Committee, wrote in a scathing Washington Post editorial Tuesday. Chairman Cummings, D-Md., noted, "The White House has not turned over a single piece of paper to our committee or made a single official available for testimony during the 116th Congress." The president initially indicated that he would cooperate with the Judiciary Committee, but White House Press Secretary Sarah Sanders just hours later called the probe "a disgraceful and abusive investigation into tired, false allegations." Despite that pointed criticism, ABC News has learned from sources familiar with the matter that the White House does plan to reply to some requests, though they only intend to respond to those they deem "legitimate." It's unclear what that would mean. In Thursday's letter, White House counsel Cipollone said he is "unaware of any precedent supporting such sweeping requests." House Democrats have compiled a list - obtained by ABC News - that indicates that the Trump Administration, writ large, has either refused to respond to or slow-walked, more than 30 inquiries for documents and interviews by 15 committees. According to Nadler - in a letter to the head of the Office of Legal Counsel at the Justice Department - Whitaker, in a follow-up interview with the Judiciary Committee after a public hearing in February, refused to answer questions "on the basis that the President may one day want to invoke executive privilege to prevent the content of these communications from becoming public." "The executive branch has an obligation to respond to congressional oversight, especially where a committee has articulated its particular need for access to the information," said John Bies who worked in the Justice Department's Office of Legal Counsel and is now chief counsel at American Oversight. "Certainly this letter ratchets up the pressure on the White House either to permit Whitaker to answer the questions or to actually invoke executive privilege." "A "my way or the highway" approach to oversight is fundamentally inconsistent with the notion that ours is a government of checks and balances, and that each branch is obligated to try in good faith to accommodate the legitimate interests of the other," Bies added. Both chairmen, Nadler and Cummings, made clear this week that they intend to issue subpoenas for the documents they are seeking. Last year Republicans on the House Intelligence Committee blocked a move by Democrats to subpoena the State Department translator in the room during Trump and Putin's private meeting in Helsinki.